Bonobos designs, markets and sells multiple categories of men’s apparel for casual, business and formalwear occasions. If you enjoy men’s fashion, you will enjoy shopping at Bonobos. Bonobos launched with pants and carries a wide selection of styles and fabrications such as denim, washed chino, wool, and corduroy. Today Bonobos’ categories include pants along with casual and dress shirts, suits and blazers, tees, knits, polos, outerwear, shorts, swim, ties, pocket squares and belts. They started Bonobos because the founders couldn't find pants that fit. They were either way too tight or too boxy. Fortunately, they figured out a way to fix the issue. One secret (maybe not so secret now) is their signature curved waistband. It actually conforms to the natural shape of your waist. Another not so secret is a trimmer, more flattering cut and the perfect medium rise are the finishing touches on their great fit. The signature curved waistband matches the natural shape of your waist. No more bunched waistbands or baggy seats. Traditionally, European cuts have a rise that's too high, and American cuts hang down too low. Their rise is right in the middle and just right for the majority of men. Most pants out there have a lot more fabric than guys really need. Bonobos cut their pants for a fit that's trim but still accommodating. After that had the fit of pants all figured out, they now have expanded beyond pants to shirts and suits. Bonobos set out to build the best online shopping experience in the world, and they made it the core of what they do. Bonobos is an e-commerce-driven apparel company headquartered in New York City that designs and sells men’s clothing. Bonobos offers a full line of pants, suits, denim, shirts, shorts, swim and outerwear. The company was founded by Stanford Business School housemates Andy Dunn and Brian Spaly, and launched exclusively online in 2007. In 2012, Bonobos' business model extended offline with the launch of their e-commerce stores called “Guideshops” and through a partnership with Nordstrom. Bonobos was named “One of America’s Hottest Brands” by Advertising Age, “Best Men’s Pants” by New York Magazine, one of Inc. Magazine’s “20 Awesome Facebook Pages”, and was awarded Crain’s New York Business “Best Places to Work in New York City”. In 2012, Bonobos closed a $16.4 million strategic minority investment round led by Nordstrom, with participation from existing investors. 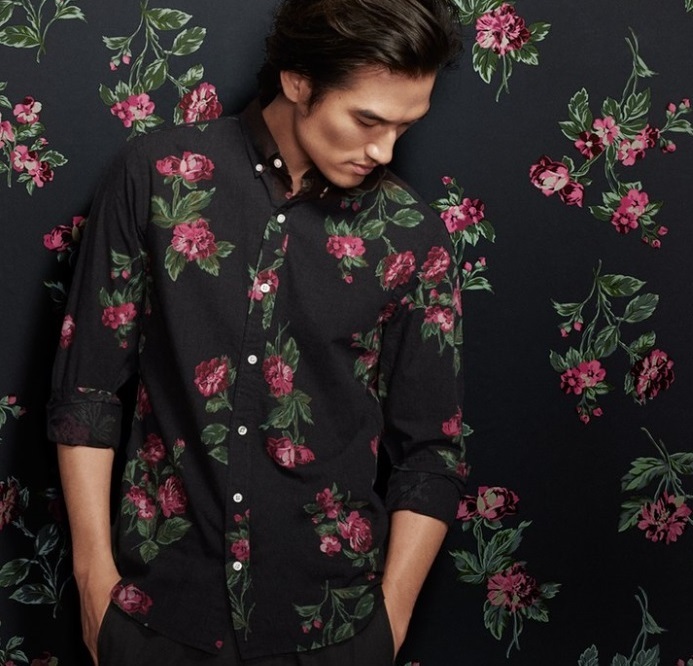 In tandem, Bonobos partnered with Nordstrom to sell the brand’s clothing in their full-line stores and their website. Bonobos furthered its offline reach in May 2012, opening its first standalone Guideshop in Boston. By January 2013, Bonobos had opened additional Guideshops in Chicago,Georgetown and San Francisco. Bonobos announced a $30 million round in 2013, with Glynn Capital and Mousse Partners joining existing investors Accel Partners, Lightspeed Venture Partners, Forerunner Ventures and Nordstrom. At this time, Forerunner’s Managing Partner Kirsten Green joined the Bonobos board and total funding to date reached nearly $73 million. Simultaneously, the company launched the golf brand Maide, which is the second brand launched by the Bonobos team. By August 2013, Bonobos had opened Guideshops on Crosby Street in New York City, Bethesda, MD, and Austin, TX, bringing Guideshop total count to eight. By August 2013 employee headcount reached 175. As if all those accomplishments were not enough, they have now reached new heights by being mentioned here on the Apparel Search fashion blog. Lucky them.